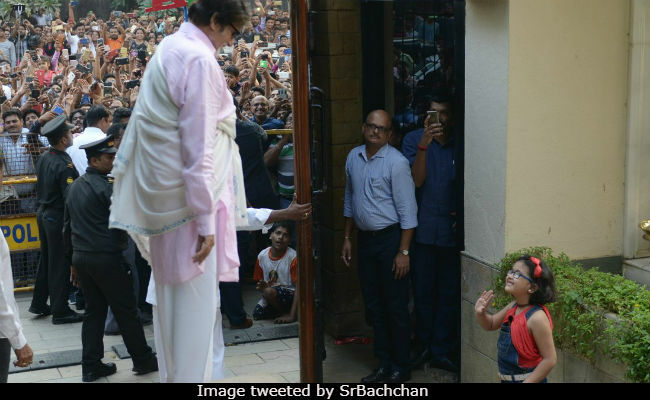 Every Sunday, the gates of Jalsa, Amitabh Bachchan's Juhu residence, open to hundreds of fans, who gather to catch a glimpse of the 75-year-old movie star. But this Sunday was somewhat special and 'cute', courtesy a little bespectacled fan of the Bollywood shahenshah. On Twitter, Amitabh Bachchan shared how a young fan waited in the crowd outside his house and eventually made her way through the gates of Jalsa. Amitabh Bachchan usually stands on a podium to wave at his fans, who wait outside the Jalsa gates, met this little admirer of his in person and shared photos on Twitter. "This little one braved the Sunday crowds and came through the gates .. just for a wave .. ! So, cute," he tweeted. Cute indeed! In photos, the tiny fan, looking cute as a button in blue and red, is all smiles and no points for guessing why. Amitabh Bachchan, who is one of the most active celebrities on social media, always has some interesting story to share about his Sunday ritual (as he had mentioned before). In January this year, he tweeted how fans managed to accumulate outside Jalsa, even though the roads were dug up outside his residence. 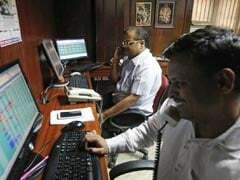 "Sunday with the masses .. their genuine love beating all the 'conditionals' .. ! Despite Jalsa being dug up outside by BMC laying pipes and cables .. they come and love and wish and cheer unconditionally," he had written. Amitabh Bachchan is currently in Jodhpur for the look test of Brahmastra, one of the many of his upcoming films. Big B co-stars with Ranbir Kapoor and Alia Bhatt in the Ayan Mukerji-directed film. Next up for him is 102 Not Out with Rishi Kapoor, which releases in May. Big B is also filming for Vijay Krishna Acharya's Thugs Of Hindostan, starring Aamir Khan, Katrina Kaif and Fatima Sana Shaikh.